I was quite nervous, packing my sewing machine into a suitcase that wasn’t really big enough, and getting an early train to the #sewingweekender in Cambridge on Saturday. I’d been so determined to get a ticket, and had been gutted not to have been able to attend in previous years …. 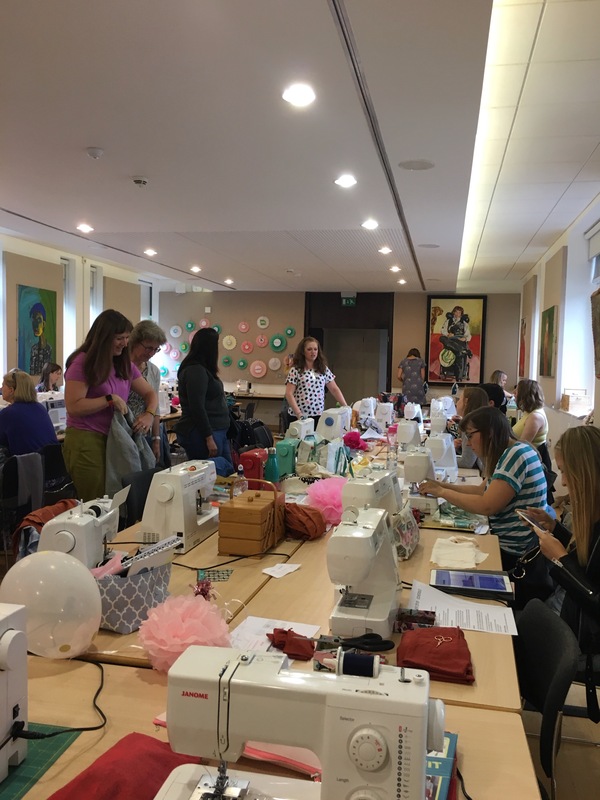 but, I normally sew by myself at home with only my family around, and the thought of meeting so many new people (there were about 100 of us there) and sewing in front of them, was pretty daunting. When I arrived (ridiculously early) at the venue, I was momentarily confused by the Buddhist meet up that was also going on in the building, but almost immediately reassured by a bright smiling woman saying “oh you must be here for the sewing weekender”. I think we must give off a secret siren to other sewists. That or she had suspicions about the reason for the taxi driver putting his back out while getting my case from the boot of his car. I took my seat in one of the workshop rooms with about 50 other women and got set up, checked the goodie bag (so exciting) and started sewing. I realized quickly that my hands were shaking, and before 10:30am I had melted the top part of the kimono I was sewing with a too-hot iron. The point of sharing all this was the multiple conversations I subsequently had during the course of the day with other sewists, who said the same thing. How nervous they’d been; how they nearly didn’t come even though they’d booked their ticket months ago and been counting down the days; how they hadn’t slept the night before; and how hard it was to walk into a group of new people and chat. 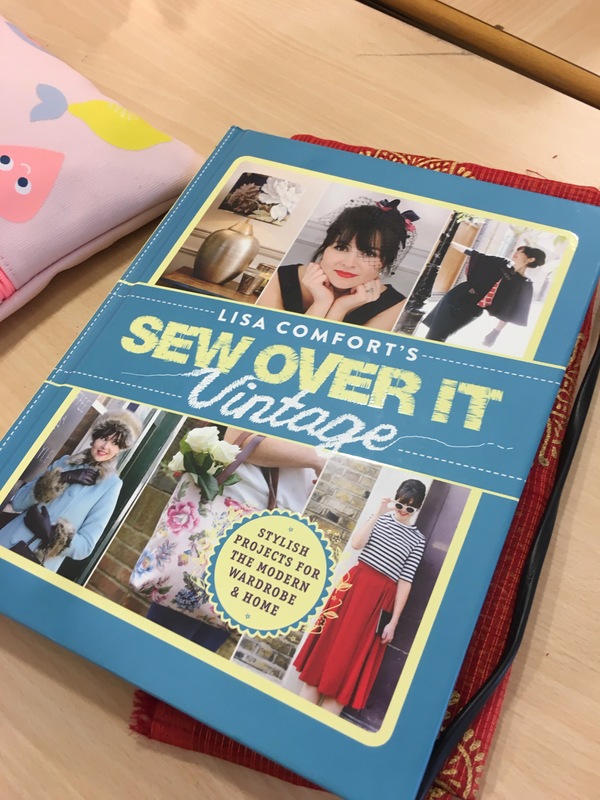 I suppose it’s not a surprise that there might be other introverts here – sewing is something we do quietly; in my case a kind of meditation and way of relaxing and working things through. But everyone I met was, without fail, lovely! 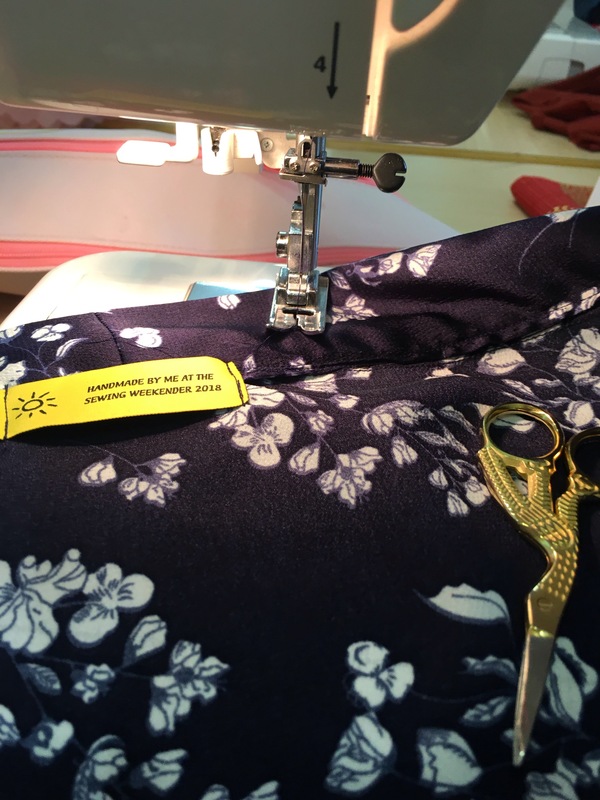 I hope that my experience was a shared one – that by being present and getting on with the sewing, I eventually relaxed and stopped melting things. And I began to really enjoy it, particularly meeting all the other attendees. There were no big egos – even those icons within the community who everyone recognized, the ones who’d written books, have blogs with enormous followings or who were producing amazing work, were just as friendly and happy to be there as the rest of us. There were no cliques – people that knew others were interested and welcoming to those of us who knew no one. 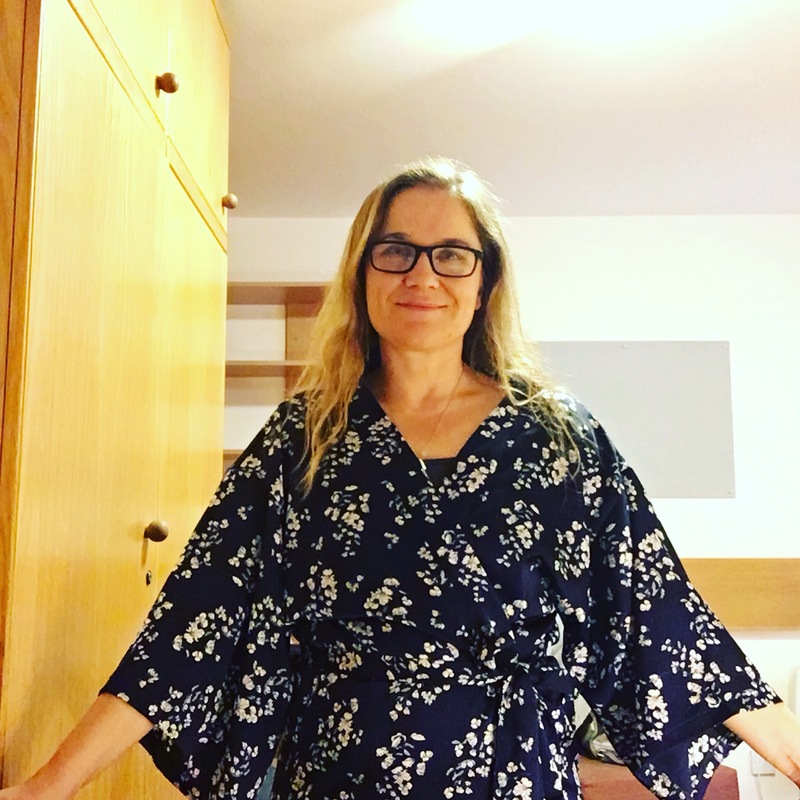 In terms of the sewing, I’d decided to make a kimono – the pattern from the #sewoverit Vintage book. I really like this book because the patterns aren’t provided for you – instead you get a layout plan and clear instructions about how to map your measurements to draw and create the different pieces you need. For a pattern like a kimono, which is basically just a few rectangles, it’s brilliant. I chose to use fabric that my lovely daughter Alice had given me for my birthday – a shiny, drapey navy material with a white flower print. I carefully tested a scrap on one of the irons and then forgot that different irons might be on different settings ten minutes later: hence the melted top portion of one of the fronts. It wasn’t my best moment, and I spent the next half an hour cleaning the iron, but I managed to shorten the whole gown and lose that section without too much of a long-term problem. Full disclosure: it’s not my best sewing. It’s a slippery fabric, made into a garment that I constructed while chatting and getting to know new people and working in a much smaller space than I have at home for spreading out. But at the same time, it’s a dressing gown, it feels lovely to wear, it’s made with a gift from one of my favourite people in the world, and no one is going to come and check my seams. Please. For anyone who is nervous about coming to this kind of event or meet up, I’d just say that my fears are now well and truly put to rest. You start with such a good shared connection; and the imposter syndrome quickly takes a back seat because we all seem to feel this way. Thank you to @englishgirlathome and @thefoldline for such a fantastic weekend. The venue, the food, the speakers and the support have all been excellent.